Learn the meaning of POP and meaning of IMAP in email. 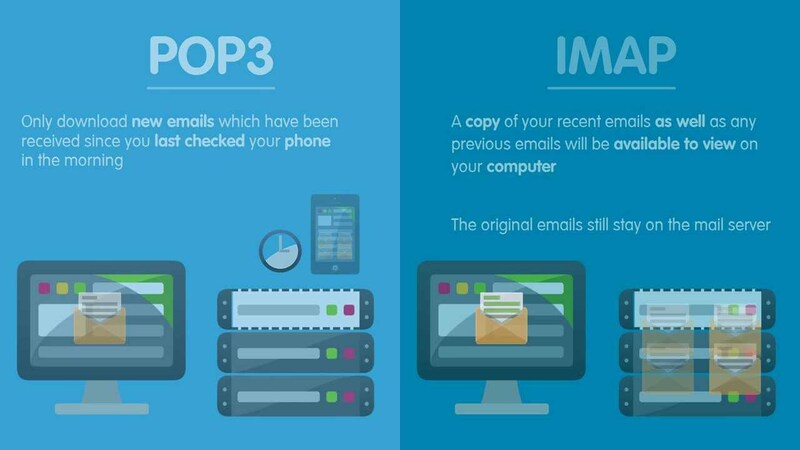 Also find out what is the difference between POP3 and IMAP protocols and which one you should use. Email has become an integral part how we communicate nowadays. This facility has made sending and receiving messages so simple that even a not-so-tech-savvy person can easily communicate through email. But sometimes people feel confused about terms like POP and IMAP in context of emails. We often come across people who ask “what does POP mean in email?” or “what is the meaning of IMAP in my email? How to configure IMAP?” or “what is the difference between POP and IMAP?” or “what exactly is SMTP?”. Today, in this article, we will learn the meaning of POP and IMAP so that the next time you will be confident in the face of such questions. POP is a protocol used for retrieving emails. It is an abbreviation for Post Office Protocol. POP was first developed in 1984 for fetching emails from a remote server. The current version of POP is POP3. POP downloads emails from server to the local machine and then deletes the original copies from the server. As a result, you can later read emails in your computer without an Internet connection. But on a downside, you will not be able to access those emails from any other computer because original emails no longer exist on server. Why does POP deletes emails from server? Well, in those days when POP was developed, Internet connection was not easily available, bandwidth was low and it was costly. Also disk space was expensive too. So, in order to minimize the use of Internet connection, emails were downloaded on local computer for offline reading and removed from the server. IMAP stands for Internet Message Access Protocol and it was developed in 1986. Design goal of IMAP was to create an email inbox that could be used through multiple email clients. Unlike POP, IMAP does not delete messages from server (unless, of course, user explicitly deletes them). Consequently, email messages reside on server and can be accessed from any computer that has a properly configured email client. Email client is a software that connects to an email server and downloads email for reading by user. Email clients could be stand-alone software like Outlook and Thunderbird etc. and they could also be web-based services like Gmail, Hotmail, Yahoo! Mail etc. These email clients offer an interface to fully manage an email account on server. Email clients allow users to read, write, send and delete emails among several other features like categorizing emails. Webmail is the term used for email clients that are implemented as web applications. Webmail is a short form of web-based email. Roundcube is an example of a webmail client software. Roundcube is just a webmail client — it does not provide the email service as such. Webmail providers like Gmail, Hotmail and Yahoo! Mail provide full email service including a client. 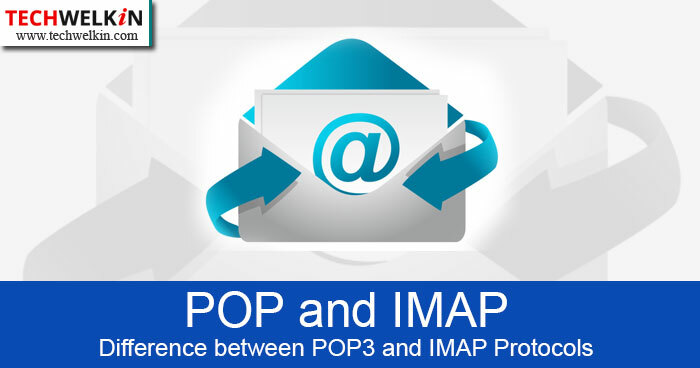 Following table lists some of the major differences between POP and IMAP protocols. Here POP and POP3 are same thing, POP3 is just the latest version of the POP protocol. Downloads emails from server and then deletes the copy of emails from server. Does not delete emails from server unless user willingly deletes them. POP is one way communication, i.e. from email server to email client. IMAP uses two way communication to synchronize state of inbox between server and client. In order to use your emails, you will have to carry around the computer where you have downloaded emails using POP. Any computer with a properly configured email client can connect to the email server and you can use emails on that computer. POP stores sent emails on your local computer. IMAP stores sent emails on server. Now that you have understood the meaning of POP, meaning of IMAP and difference between POP3 and IMAP, it should be an easy choice for you. IMAP gives you more flexibility regarding email operations. Therefore, we would suggest that you always use IMAP protocol. Nowadays, there is no shortage of email storage space on servers (Gmail currently gives you 15GB free space) — so there is no problem in leaving your email messages on server. If you’re closing your email account, you may opt for POP3. That will allow you to download all the emails to your local computer and at the same time it will delete your emails from server. We hope that this article on the meanings of POP and IMAP was useful for you. Should you have any questions, please feel free to ask in the comments section. We will try to assist you. Thank you for using TechWelkin! thanks sir….. now all my doubts about POP/IMAP mail are clear.